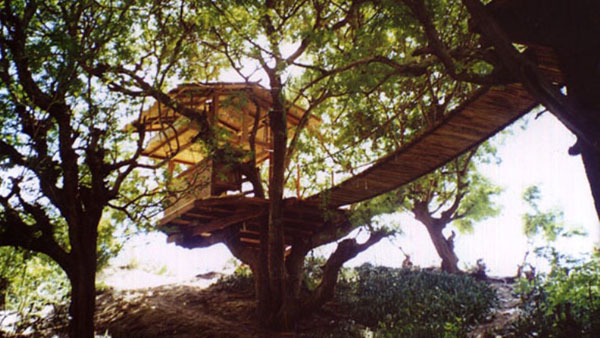 The sight of a wooden treehouse nestled in the branches whisks you right back to your childhood—real or imagined. But these treetop wonders are not for kids. Check out the view from these lofty treehouse hotels with height, relax in their luxurious surroundings, and beat the heat under a canopy of leaves. Escape from the world below and hideaway in the trees on your next vacation with these 10 stunning treetop lodgings. Curl up in a hammock looking out over the sea at the eco-friendly resort of Playa Viva, located to the north of Acapulco on the Pacific Coast. 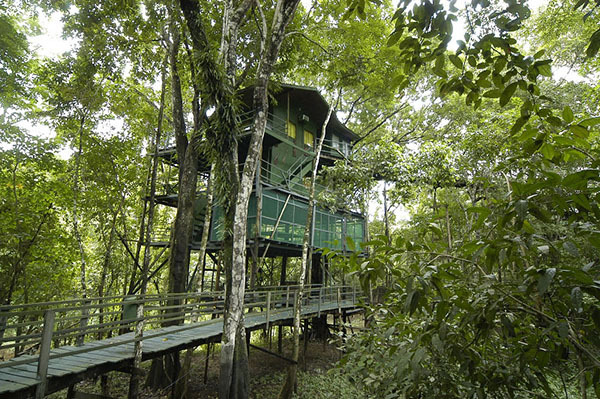 Three small treehouses have been constructed with bedrooms and lounges out of sustainable materials. The 200-acre resort includes a private nature reserve and a beach club. You wouldn’t expect to find a treehouse hotel in the middle of bustling Bangkok, but this place takes you high above the traffic. 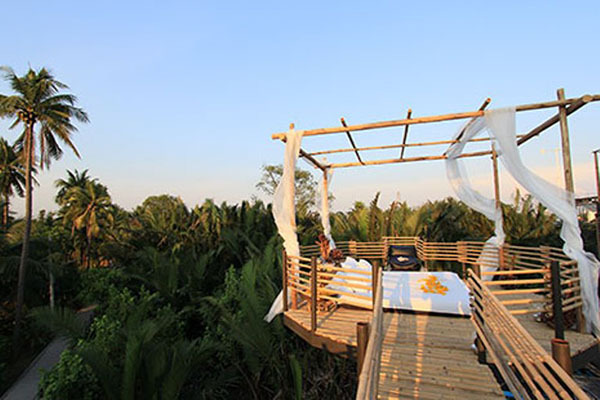 Set on Bangkok’s Bang KrachaoIsland, there are several cute treetop nests to choose from, including this one where you sleep beneath the stars on an open tree-high platform. A beautiful, sustainably built treehouse constructed from fallen trees, this hotel treetop suite offers solar heating, kitchen, two bedrooms, and a shower built into the roots of an ancient tree. Views are across the Caribbean coast. A yoga retreat with some of the best accommodation around—Xinalani Retreat boasts elevated treetop cabins with open-air rooms and thatched areas. 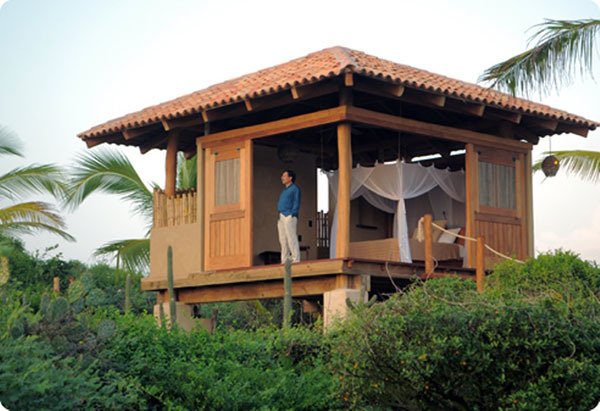 All of the suites are next to the ocean and you can even bag one with an outdoor shower. If you’re visiting Victoria Falls, you’re going to want to stay in this luxury treetop retreat on the banks of the Zambezi River. 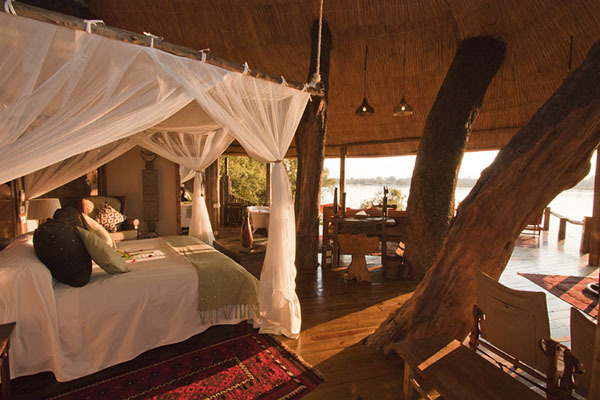 This luxe space has a claw-foot bathtub, a canopy bed, and views over the water and the amazing wildlife. Is this the world’s largest treetop hotel? Here you’ll find 268 rooms and suites perched in the treetops of the Amazon rainforest and connected by five miles of bridges and catwalks. You’ve got all the amenities here, including a restaurant, bar, and swimming pool—also in the treetops. For complete and utter relaxation, check into the treetops at this Australian retreat. All the extras are included like a gourmet breakfast, bikes, oil burners for aromatherapy, yoga classes, and guided walks. You’re just a few feet away from the South China Sea when you sleep in one of these rustic cabins. 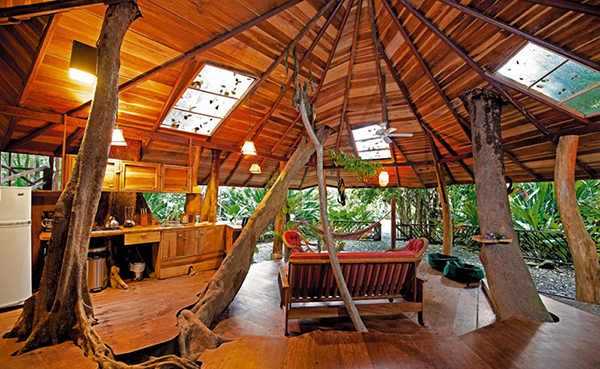 The setting is tranquil and gorgeous, and the treehouse sleeps up to six people. Overlooking the Bandhavgarh Tiger Reserve, this exclusive and peaceful treetop retreat is the ideal place to hole up and spot tigers, birds, spotted dear, and jackals. 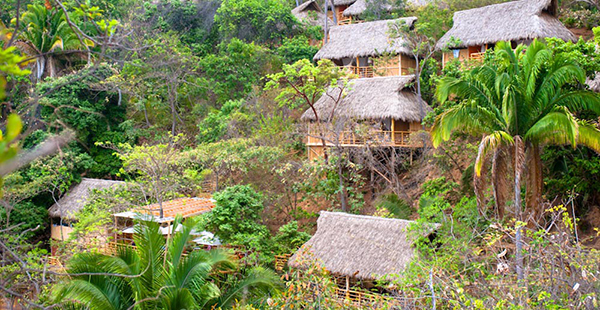 A fun and lively place for friend or couples, the Dominican Treehouse Village is a complex of 20 treehouse suites that offer easy access to the nearby waterfall and beautiful beach. 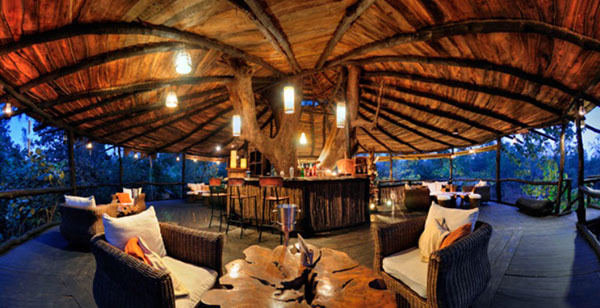 If you’re looking for an eco-retreat with style, give the traditional guesthouses a miss and choose a treehouse for your next trip. High up in the trees you’ll find peace, relaxation, and all the benefits of nature—everything you could ask for on your next vacation.